Will the International Beer Fest return in 2013? We sure hope so. At Craft Brewing Business, the only thing we love more than beer is getting together with others who love beer. 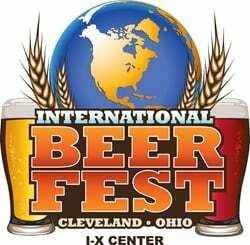 So when we found out the International Beer Fest traditionally held in Cleveland (CBB’s own backyard) hadn’t posted its 2013 event dates, we did some digging. Rick Armon, of the excellent Ohio Beer Blog, calmed our fears by reporting that the event isn’t canceled — it’s changing. At least, that’s according to a spokeswoman Armon caught up with. There’s no mention of the event on the International Exposition Center’s schedule of events, but we’re hopeful that it will return even bigger and better than usual. Last year, the event featured three public tasting sessions with more than 200 breweries from around the world pouring upward of 800 beers.